Honest conversation about contentious issues has always been a mainstay in my personal and professional life. I have prided myself on hitting those conversations head on…until about 2 years ago when some people involved in the marine aquarium world tried to hurt me professionally and personally over something that had nothing to do with aquarium keeping. As a result, I pulled back from head-on kinds of conversations. I am not going to go into the details here because they arenât important – though I did, in the process, watch a few bridges burn, which is something I normally avoid, but which felt surprisingly good in this context. The entire experience made me keenly aware of the fact that, though I pride myself on direct communication, I was vulnerable to the potential repercussions of honesty. So I pulled back a bit, all the while wondering, what I would say if I really wasnât worried about repercussions? What would I say if I was truly free to say what I really wanted to say? What I would write to the reef keeping world if I were dying and had nothing to lose? I havenât acted on this idea since, because everything I wrote felt bitter, and no message coated in bitterness can be heard, especially when there is already too much bitterness in the world. Now time has passed, and I think I am ready to attempt to communicate some messages that might be hard, not from a place of anger, fear, and bitterness, but from my passion and love for the amazing hobby, trade and industry* that have leant so much beauty and satisfaction to my life. It is natural to think that the communities we frequent represent the entirety of the reefing community, and thus that everyone thinks the way the people with whom we associate think. 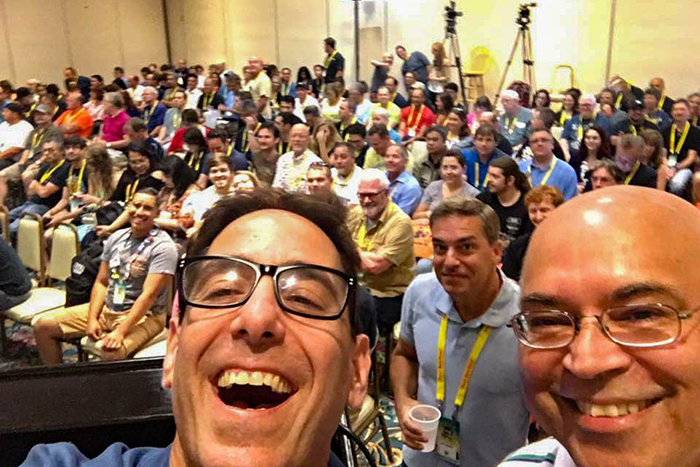 Conference attendees tend to think that everyone in the hobby, trade and industry knows what goes on at those conferences. People on forums tend to think that their forum contains all knowledge, and attack new members with different ideas that donât conform to the local norm. 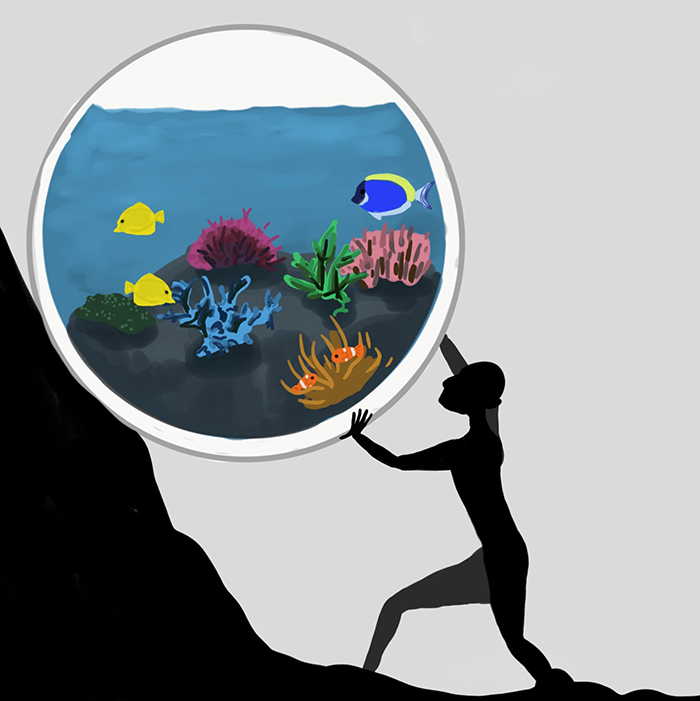 Donât be a lone coral spawning, make sure that ideas are shared across the broader reefing community. 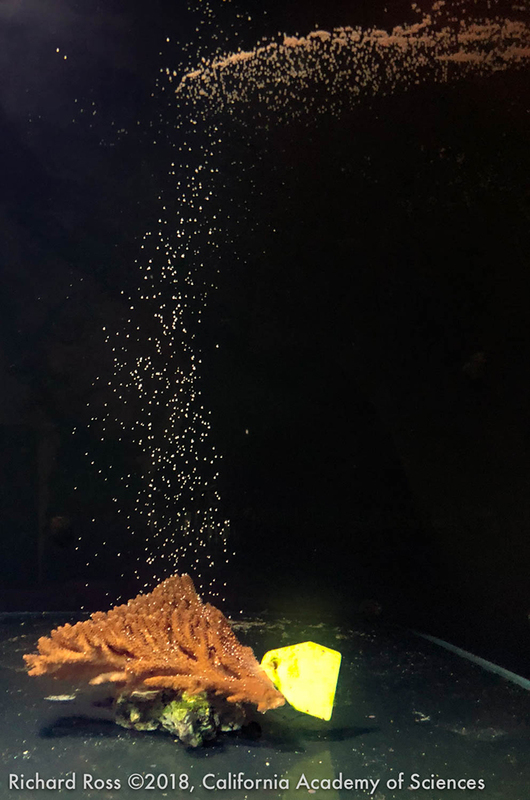 Photo by Rich Ross, 2018, California Academy of Sciences. The truth is, there are hundreds, maybe thousands, of reefing communities out there, each with all kinds of information and all kinds of experience, and that experience is not at all equal. Some of the advice advocated on Facebook reef groups is decentâ¦and some will make your skin crawl in its regressive incorrectness. We need to find better ways to cross-pollinate, to stop inbred information from taking hold, and to get that good information and experience to the people looking for it. Some groups actively prevent the needed cross-pollination. Blogs wonât post information that appears on other blogs, and some online forums donât allow links to other forums. I get trying to maximize profit and presence, but doing that by stopping the flow of information seems to be the exact opposite of what these organizations say their missions are. If a competing site has information that will help your members stay in the hobby longer or help increase animal health, how can we possibly cut off that information and feel good about it? which helps member clubs fund guest speakers. For MASNA to really make a difference more individuals need to become members and, more importantly, more clubs have to become involved members. as a club, business or an individual – it is inexpensive and worth it. (MAC), offered education and certification for different kinds of facilities that dealt with marine animals. While it crashed for various reasons, itâs relevance is proven by the fact that 10 years later, being MAC certified still resonates enough that some vendors still offer MAC certified products. The need for this type of organization persists; it can lend legitimacy to the business of marine ornamentals, actively promote animal welfare and most importantly, proactively head off attacks on the industry. , is making strong efforts; but to be truly effective they need more comprehensive support. All of us who care about the industry need to step up and present an united front that we can all support. Every schoolyard bully learns that the easiest way to raise his own status is to lower the status of someone else. Hopefully, as adults we figure out that this is also the least effective way to raise oneâs status because it is a raising based on nothing, resulting in a short lived status bump which eventually reflects poorly upon us. Instead of bashing others, promote what is good about you or your group. No one really wants to be part of something because it is less bad than something else – we want to be part of things that are good. There is plenty of room for everyone, so support each other instead of tearing each other down; a rising tide raises all boats. And by all means, never go personal. If you are involved in a contentious interaction donât fall prey to the temptation to attack someone personally. Not only does that not raise your status, but it cheapens the discourse and removes the possibility of bringing about change. And, it really hurts people…which isnât cool. Some in the trade and industry have made a habit of asking hobbyists to contribute to campaigns for trade or industry issues, but this seems like the wrong way to deal with problems. Sure hobbyists can help, but when they donât have skin in the game – it really isnât their fight. The idea that âthe hobby might be shut downâ is too often used as a rallying cry to raise money for a project. Hobbyists arenât responsible for the way in which animals are collected and imported. Hobbyists are customers, and if the hobby goes away, most hobbyists will move onto another hobby, while people in the trade/industry will go out of business and have to find a new livelihood. Seems like the people in the trade and industry have the real incentive to address the problems that impact their bottom line. One of the major problems with the lack of a governing body in the trade and industry is that there isnât a mechanism for calling out the bad players. As a result, more people endure terrible experiences, even when those âin the knowâ have already learned a person or organization is problematic. Vendors not on the up-and-up still get customers. People found guilty of import violations continue importing with no way for the average consumer to tell if they have improved. Of course, calling out the bad players can also be prone to abuse so we need to make sure any calling out is justified. In the hobby, local clubs generally know if a local store should be avoided. For example, there is one store near me that the regional reef clubs know to stay away from because they do things that put animalsâ lives in jeopardy. But there is no mechanism for disseminating that information to the wider reef community. Most hobbyists are not in local clubs and tend to buy based on price and ease. This bad store is doing a booming business and has been for a long time…even when other reputable shops closed due to economic pressure. Lots of sales and lots of re-sales add up, even if the store is burning out hobbyists…there are always new buyers that donât know better. Letâs find a way to help them know better. 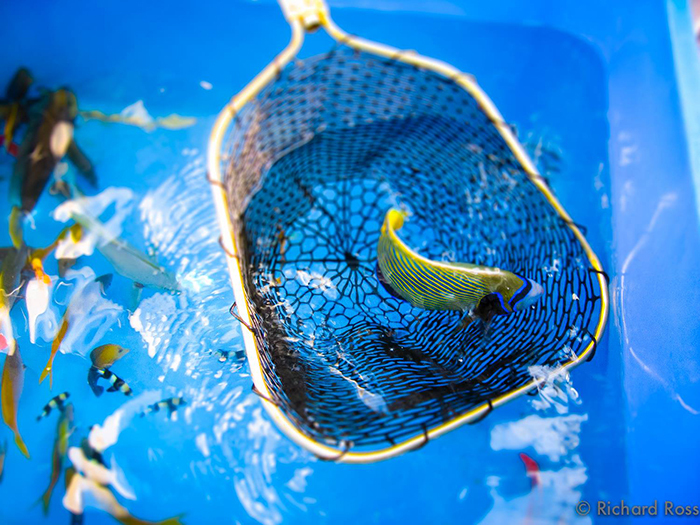 When some vendor does something dumb, like throwing away hundreds of dead yellow tangs at once, it looks badâ¦even if there are totally understandable reasons for the losses. People who want to shut down the hobby, trade and industry use this ammo to paint the hobby, trade, and industry in a bad light. I am not saying that we should be secretive about losses, rather, we need to promote better practices so that loss of animals is minimized. Â We need to be honest about losses in the chain of custody so we can learn from our mistakes and eliminate the skeletons in our hobby/trade/industry closets. Almost everyone involved in reef aquariums says they love the worldâs reefs. Those reefs are in real danger, and since we profit from them (either in hobby joy or in income) we should all be giving back and supporting projects that make the ocean, and our take from the ocean, more sustainable. Currently, I see some individual groups trying to fundraise, and the responses tend to be rather anemic. I believe this is because the fundraising goal and project is often vague – I recently saw a fundraiser that said something like âraise money to help the Hawaiian aquarium trade, trust us, the money will go to where it is neededâ. Um. No. Â This is another example where working together is power while working alone is frustrating. in 2010 dealt with Ich, but drew on treatments established the decade before. Nothing had substantially changed in that time, and not much has changed since. Yet people are still talking about garlic, ginger and miracle products with no evidence to support their claims (more on evidence later.) This is just a waste of everyoneâs time, we donât have time for it, and continually trying treatments that we are pretty sure donât work certainly isnât good for the animals. We need to be getting better, not barely staying in the same place. We all get caught up in the idea that showing why something doesnât work is fun. A lot of us in the hobby and trade and industry like these âdoes it really workâ puzzles. The truth is, that it isnât up to us to show a claim/product doesnât work, it is up to the person making that claim to show that it does work. 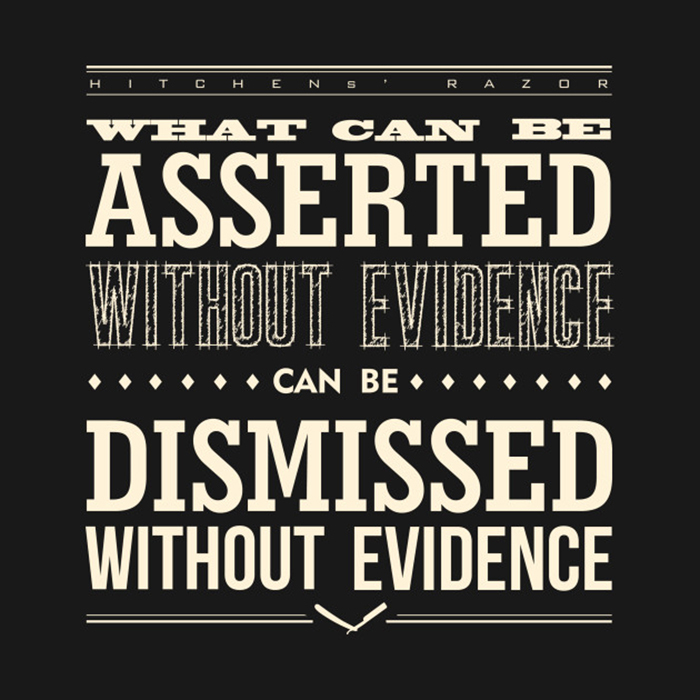 Employ what is known as Hitchensâs Razor – âThat which can be asserted without evidence, can be dismissed without evidenceâ. Engaging people in discussion of a claim for which they have provided no evidence is not only a waste of time, but gives the claim the flavor of credibility. The person making the claim is the person who needs to support that claim, and if they canât, there is likely little reason to give the claim much weight. Image from Google. If a person is interested in doing the work to support their claim, then there is a real opportunity for one or the other of you to learn something. If they are not interested in doing the work, if they are not interested in genuine discussion, spend your time helping someone who is. Â Youâll be happier, they will be happier, and ultimately the hobby benefits. Even though I am not dying (but feel free to spread that rumor) I am glad I wrote this. I have no doubt that there are people who will disagree, perhaps vehemently, with one or more of these messages. And thatâs okay. I love this hobby, and the trade and the industry. They have all given me so much joy personally and professionally. I want them all to continue into the future and to thrive, grow, and do good in the world. And if any one of these difficult messages helps them to do so, then it will have been worth the two years of mulling all of this over, and the risk in sharing them here. And to all the people who ARE doing tireless work in these areas, but werenât mentioned in this article, thank you. If people ask you to support your claims about the work you are doing, please donât get mad at them â help them help you by giving them the info they need. I hope this article can help put wind in your sails â thank you for your efforts. *While the terms âhobby, trade, and industryâ are often used to mean pretty much the same thing, there are important differences. The hobby is what people do in their spare time for fun, you know, reef keeping. The industry is the production of goods used by those in the hobby. The trade is the collection and transport of animals to be sold for the hobby. They are linked, but they are different.